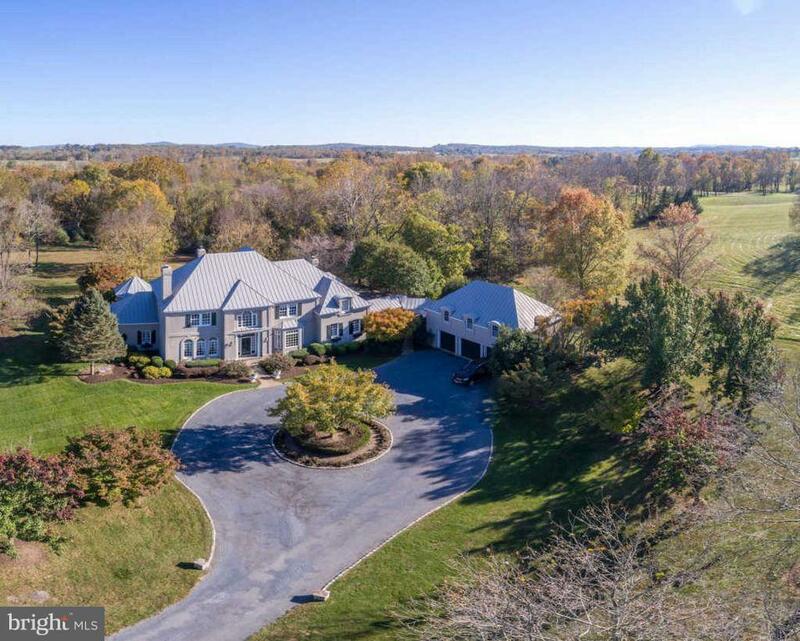 "Salem Hill, prime Fauquier County location, well protected, 6 bedrooms, 4 full and 2 half baths, 3 fireplaces, great views, pool with large flagstone terrace, large county kitchen. 4-car detached garage with apartment/office. 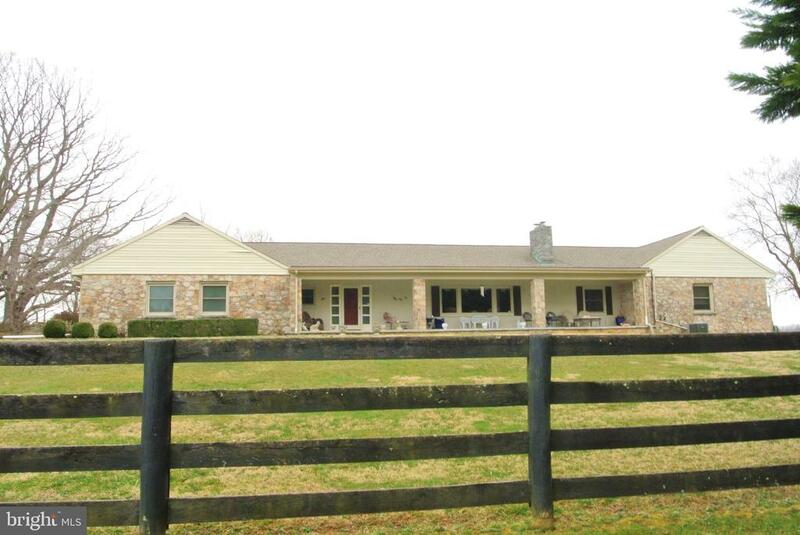 9-stall barn, covered arena, outdoor ring, 4 stall shed row barn on 51 fenced acres." "The White House Farm. First time for sale in over 100yrs. Farm almost 100% open rolling land suitable for grazing, hay, limited tillage. Approx 1.2 miles of road frontage, 3 Ponds. This is a real working farm-no conservation easements. Main house dates prior to Civil War & was updated in last 15yrs. Tenant house & misc period barns. 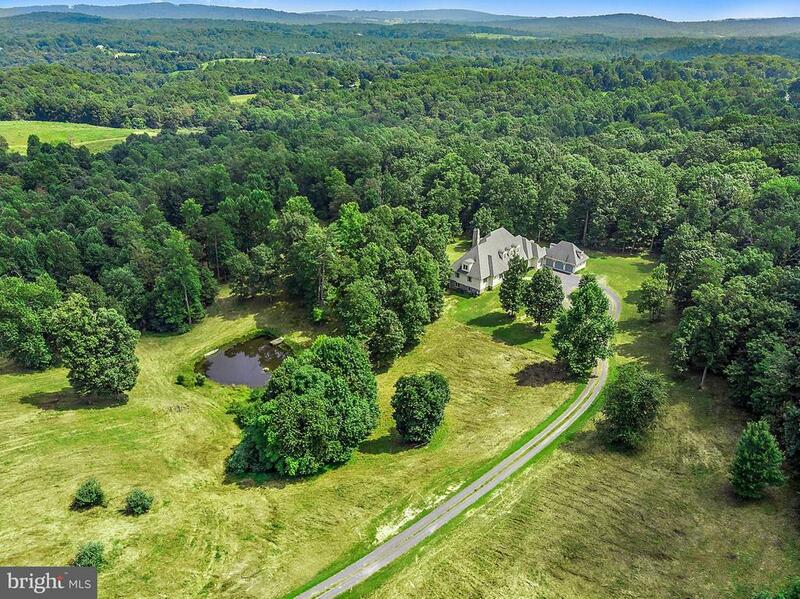 Priced at $8443/ac & $300,000 for bldgs-rounded to 3.5 million." "Price Reduced! Piedmont Serenity in Orange County Hunt Country! Enjoy your private and exquisitely elegant & stunningly decorated French Country residence on 56 rolling acres. Relax w/guests by the pool, or entertain in formal living & dining areas or casually in the airy breakfast & solarium spaces. You retire to your sumptuous master suite, while you host friends in the full guest suite." 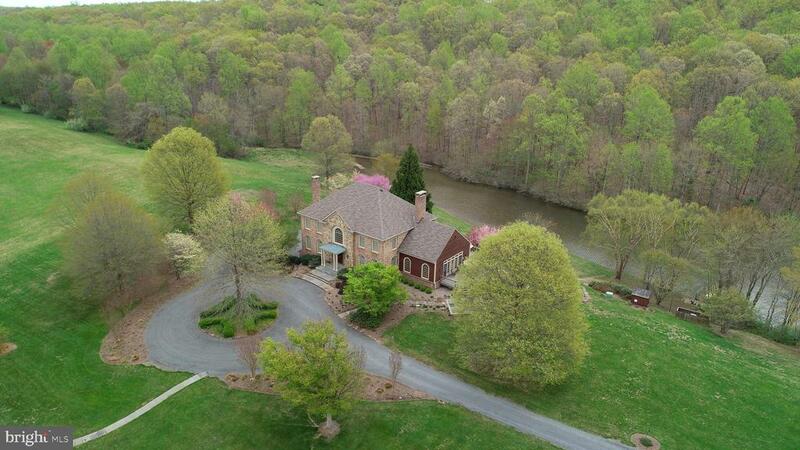 "One of a kind views everywhere on this gorgeous private 85 acres! 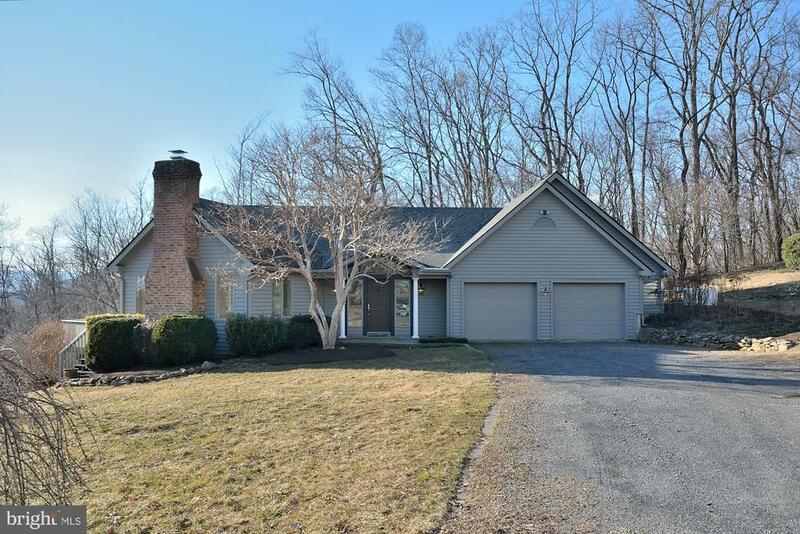 Renovated 3 BR, 3 BA Cottage House + 2 car garage overlooks multi acre stocked pond! Fenced pastures. 6 stall stable w/1 BR apt, washdown stall, tackrm, full BA, Gentleman's suite, laundry, game rm. Auto watering sys, riding ring, 6 bay equipment barn w/water, auto doors, office, full BA! Previously approved for 8,000 sq. ft. home!" 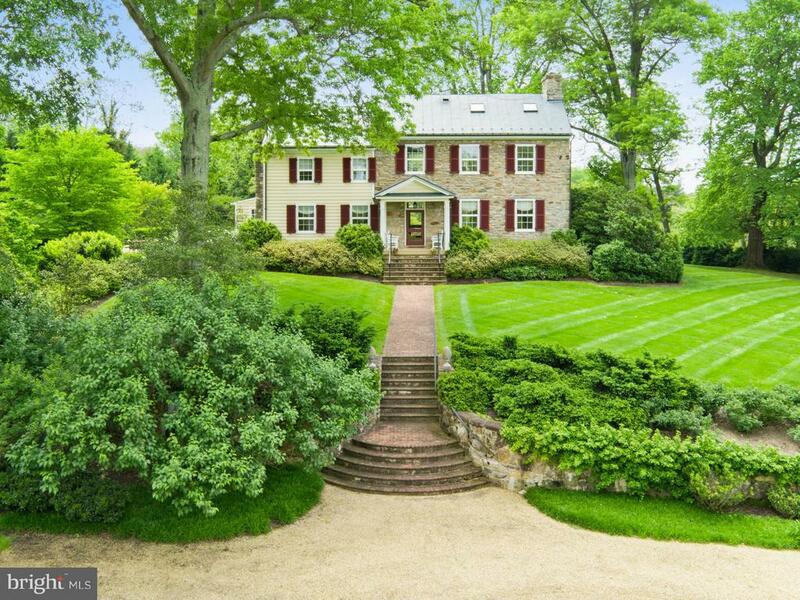 "Halcyon Hill~, excellent Fauquier location in Rectortown, winding gravel driveway, mature landscaping created by Meade Palmer. Home built in 1985 and recently updated. Private setting, great mountain views. 4 bedrooms, 4 ~ baths, 3 fireplaces, 2-car garage. Improvements include heated pool and spa, 2 bedroom guesthouse, storage building with 3-bays. 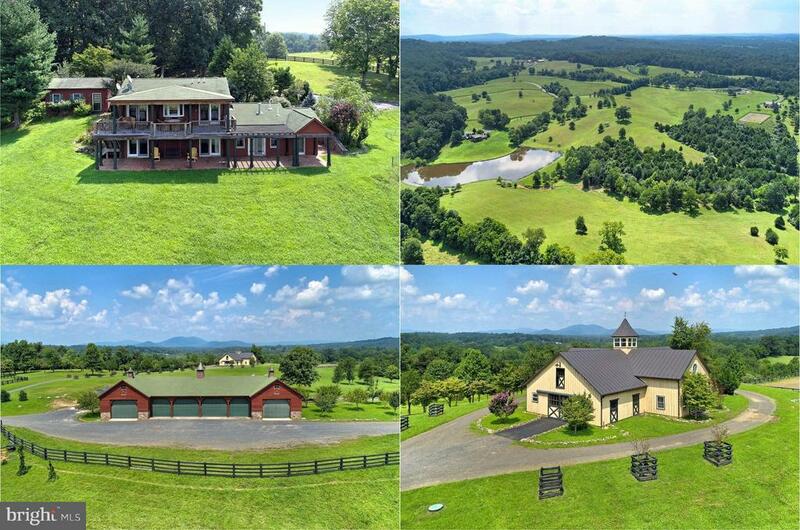 17 acres, gently rolling, room for horses. Fantastic views." 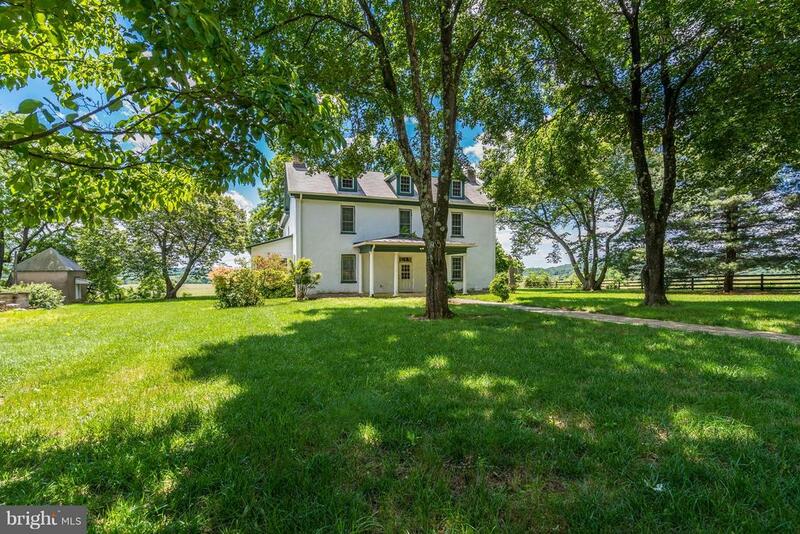 "220 year old stone farm house lavished by meticulous and thoughtful owners yielding your perfect country dream home. Literally nothing left to do but move in! 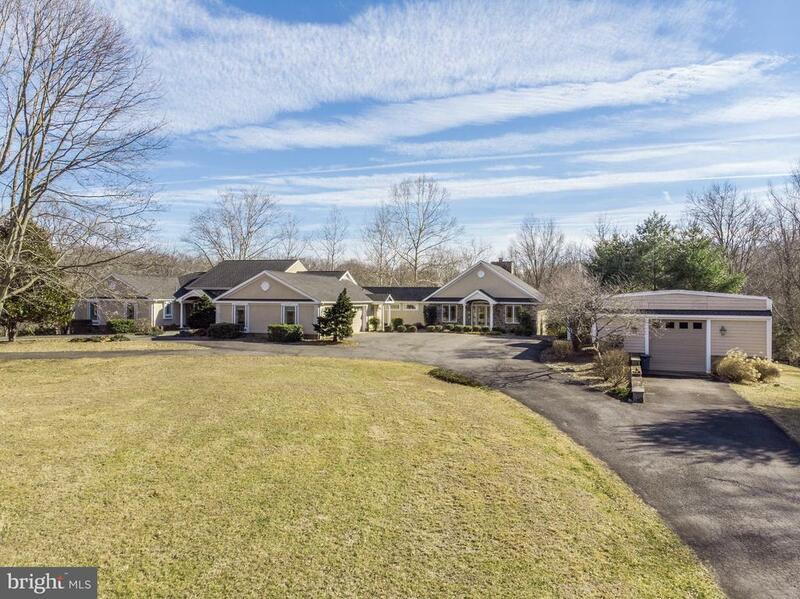 Drop dead kitchen w/commercial grade appliances, cabinetry made from imported antique English wood, gorgeous redone baths by Waterworks, sylvan pool and spa, fireplaces galore, gorgeous guest cottage, 5 stall stable, paddocks, tennis court!" 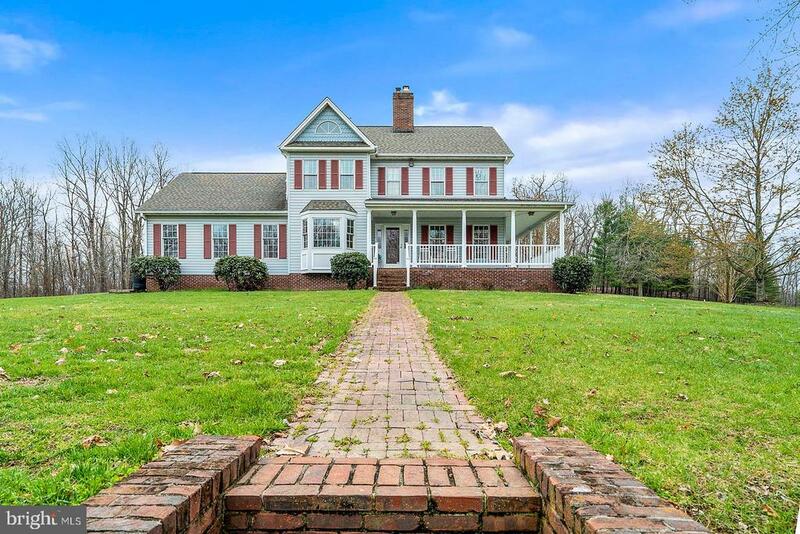 "Lovely Equestrian property with Mount Vernon replica home on 52 open acres nestled in the heart of Virginia's hunt country. 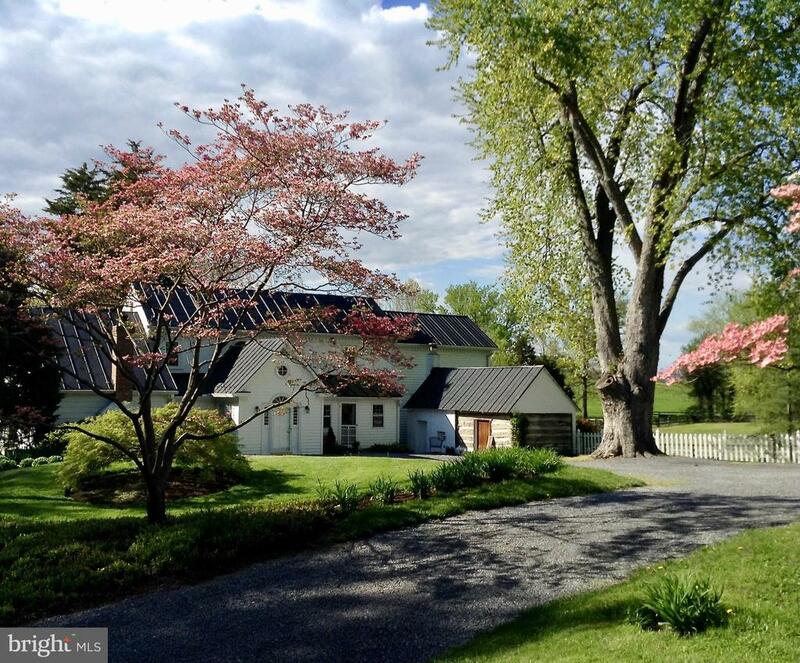 Property is on the outskirts of Warrenton, 50 miles to DC. Open and flowing floor plan with lovely views from all rooms. 5 bedrooms, each with own bathroom and 3 additional half bathrooms.Formal dining room with 1,500 bottle wine cellar and full bar. Great for entertaining." "Sited on 50 gently rolling acres, this stunning and unique French country home offers light, warmth and elegant simplicity. Superior construction showcases exquisite materials and distinctive custom designed features in a spacious residence perfect for entertaining or just relaxing in the idyllic country setting. 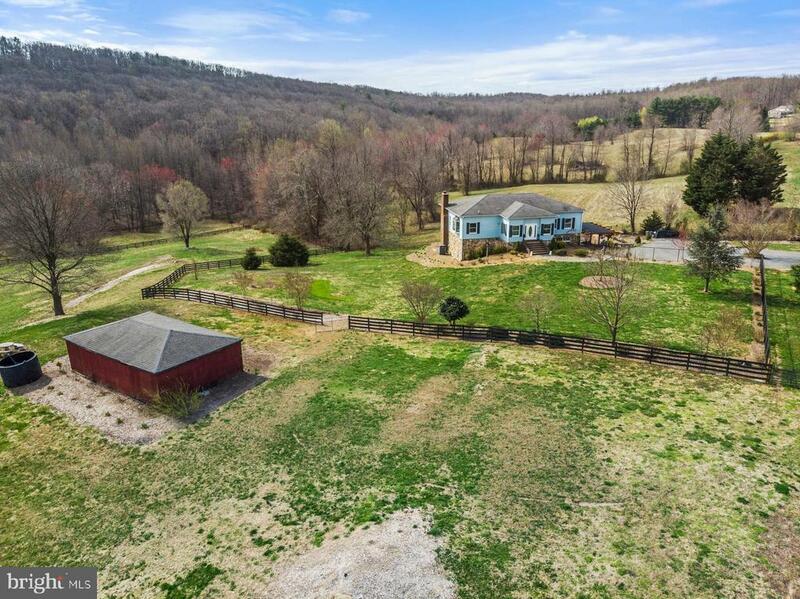 Situated in the prestigious Orange County Hunt, the property would make an ideal horse farm with several pastures bordered by four-board fencing. A one-acre pond abounds with fish. Two small orchards provide seasonal fruits and nuts. Located within easy access of I-66 and minutes from the villages of Marshall, Middleburg and The Plains, the home has generous rooms with high ceilings, each with views of the property and mountains beyond. The house boasts an expansive professional-grade kitchen and ample pantry, two-story dining room/library, formal living room, exercise room and bath with steam shower, media room, two wet bars with wine cellar, a luxurious master bedroom suite, and a large second bedroom suite. A covered loggia provides an outdoor space for dining and entertaining off the main floor rooms, and the second floor rooms open to a balcony. A comfortable one-bedroom apartment is located above the two-car garage. Geothermal heat/AC and abundant insulation make this home cozy and energy efficient." "See link to aerial tour of huge lake and mountains - 10 minutes from Marshall. Beautiful millwork, extensive plantings, porches & terraces.Fantastic mountain views from oversized windows, rolling pasture & private dock. 5 bedrooms, 3 fireplaces, hardwood floors. Extremely well built home with endless amenities.Very special home in pristine condition." 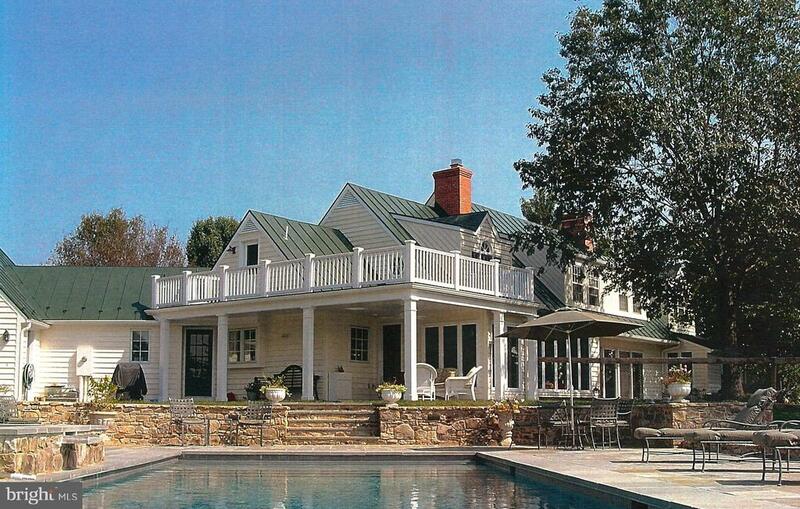 "Custom French Country home on private setting. Hybrid reclaimed timer frame from pacific northwest, pine outside columns salvaged from Savannah Harbor. 6 bedrooms, 4.5 baths w large efficiency suite perfect for in-law inc kitchen/private entrance. Grand entry, floor to ceiling fireplace, 11.5 ft ceilings, teak floors, quality construction throughout, 4-car garage, 6 zones, pond, creek, views." "This elegant home provides expansive entertainment spaces while maintaining the coziness of a four bedroom home. Perfect for one-level living or multi-generational living. Offering over 7,000+ SF of finished space. The entrance foyer welcomes you to the office and living room. You will be amazed by the new (2017) open gourmet kitchen and great room with almost 2,000 SF of open floor space to configure the space to your liking. The kitchen cabinets were custom built with several large storage cabinetry. The appliances include SUB-ZERO under counter refrigerator and Wolf Gas Cooktop. The main floor living space has a transition space with counters and cabinets, and sitting/dining area. This room provides entry into the living room, bedroom hallway and the kitchen/great room. The outdoor spaces offer privacy overlooking the open fenced-in back yard. The basement is completely different space with a wet bar, billiard room, family room, and bedroom suite. The basement bedroom suite has a walk-in steam shower. This floor also has a multipurpose room that can be used for exercise or a home school classroom. There are two washer/dryer hookup on the Main Floor and Basement level. There are multiple hot water heaters. The property offers plenty of storage spaces in the attached garage and 1,500 SF machine shed (which was built to fit an RV). All of these perfect features are within the private community of English Chase just five minutes away for Main Street, Marshall, Virginia. A VA Assumable Loan is available for 3.5%." "Significant Price Change- Charming updated 3 BR farmhouse in sought after location (Orange County Hunt) on 51 private acres. Architectural details include stone as well hardwood floors, antique doors and mantels, beamed ceilings, 2 WB fireplaces. Spacious first floor master. New Kitchen. Separate office. 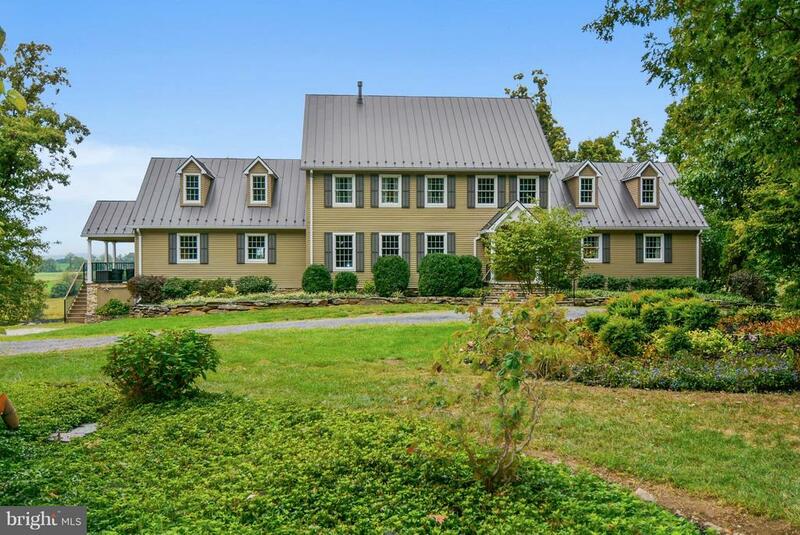 Great riding/ walking trails.Located on a quiet road yet convenient to Marshall,The Plains, and Middleburg"
"Rare 27 ac parcel, charming custom home tucked into the countryside w/pastoral views, mature trees, landscaped yard & open fields. Lots of stone & glass. 1st. floor MBR wing w/fpl & his/her baths. LR w/high ceilings & fpl, FR w/stone wall & stone fpl. 1st floor den/guest bedroom w/bath, 3 BRs up, heart pine & oak floor. Walkout LL w/stone fpl, rec. & media rms. Decks, patios. Very private." "A great opportunity to own an estate of 45 acres with 360~ panoramic views. Main house with inground pool, 1260 sf cottage, a detached 3 car garage with a one bedroom apartment above it, storage shed and more. Great value." "Enjoy main level living in this contemporary home sited on 21.7 private acres! Spectacular mountain views from the home! Hardwood flooring through main level! Open kitchen with tons of cabinets! Double ovens; smooth surface cooktop! Solid surface countertops! Living room features wood-burning fireplace. Dining room perfect for large famiy gatherings! Master suite features private deck area, custom walk-in closet. Master bath includes dual vanities, separate tub and shower! Main level laundry with sewing station. Lower level includes two large rec room areas, full bath, 2 separate dens. Attached 2 car garage plus huge 3 car detached garage! Extensive landscaping! Generator! Adjacent 11+ acre lot available alone for $275,00, or house, 10.4 acres with house available for $650,000, MLS#VAFQ155692"
"1.69 acres with frontage on Route 17, right off Route 66, currently zoned R-4. New Marshall code zoning calls for Gateway District, potential office building, etc. Solid stone house on property. Sold in As Is owner licensed real estate agent in VA."
"Beautiful home with the perfect mix of rustic and refined! Only 2 miles from the historic village of Orlean. Over 5000 sq.ft. of log home with a post & beam interior in a idyllic country setting with a stocked pond surrounded by woods and pastoral views. Handicap accessible, elevator, main level master bedroom and bath. Endless, wide wrap-around porch for relaxing and entertaining. Newer systems, 2 stone fireplaces, hardwood floors, tall ceilings, generator hook-up and so much more. CUSTOM, QUALITY- MUST SEE! This is a very well built and substantial home for the money. Room for horses!" "Copperline - Turn key home lovingly redesigned over the years to create an open, light-filled feel. Owners are local artists and their attention to detail is evident throughout the property. Features a large entrance foyer, gourmet kitchen, spacious family room with a dining area, attached studio, 3 bedrooms, 2 full baths, basement and 2-car garage. Covered front porch and large rear deck provide great places to entertain. Includes a separate storage shed and paved circular driveway. 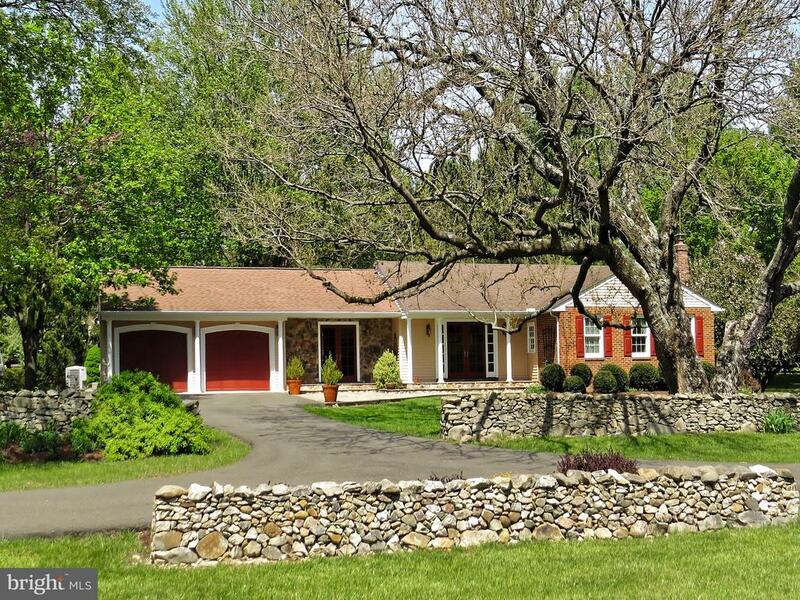 Set on 10+ park-like acres with open pastures, re-built stonewalls and mature trees. Bring your horses! Area is a bird lovers dream come true. This home has been meticulously maintained over the last 25 years! Minutes to Marshall and easy access to I-66." 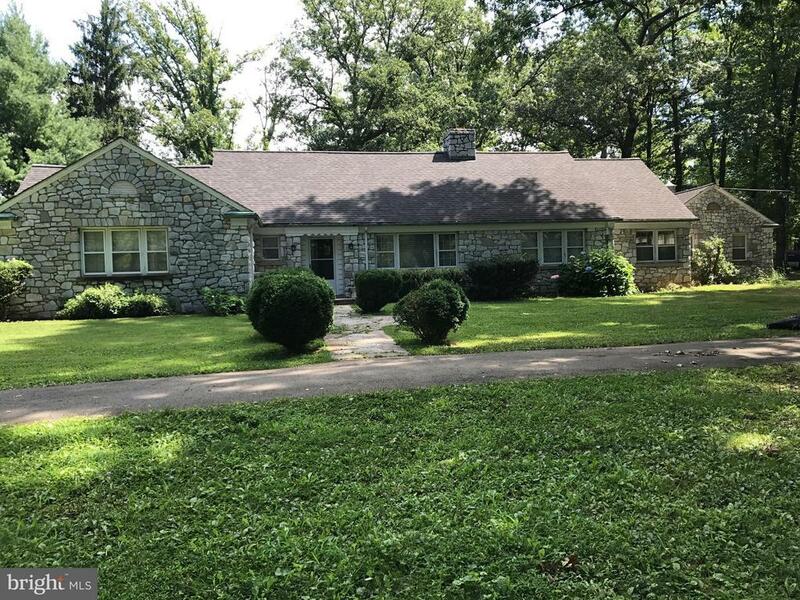 "2Lovely Stone rambler situated on a knoll overlooking the nearly 10 acre lot. Beautifully updated with all major systems replaced. 3 large bedrooms, 2 full baths and 2 half baths. Great main level living. Minutes off I-66. 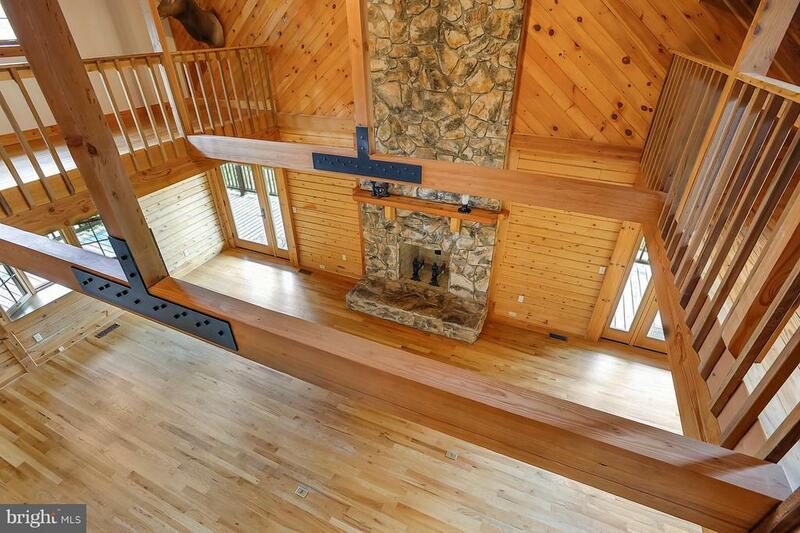 the huge living room is open and a stone fireplace is the center piece of the room. Quality construction with over 3600 finished square foot. Partially fenced with small barn. Whole house generator." 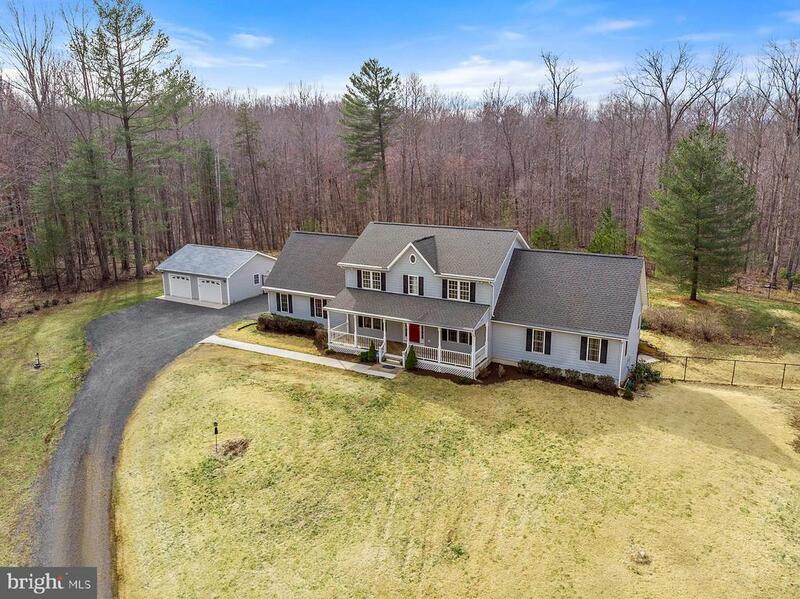 "Just 2 miles from the Village of Orlean sits this private colonial on 12 acres.. Drive through the stone wall entrance and enter peaceful tranquility. Custom home is very spacious and offers plenty of room for a large family and perfect in-law suite. Easy living in this open floor plan. Kitchen with granite countertops and breakfast nook, formal dining room and family room with gas fireplace. Private study as you walk in to left of entrance. Master bedroom with vaulted ceiling and 2 large walk in closets. Master bath with jetted tub and large tiled shower plus to sink vanity. Another possible master bedroom or in law suite on other side of home with full bath. Upstairs offers a large second family room with walk in storage closet, 3 additional bedrooms and full bath. Basement is mostly finished and has workshop and storage room plus full bath. Screened room and large deck for entertaining. Extra large 2 car detached garage and shed for tractor storage. A part of the backyard is fenced for kids or pets plus a garden area. If you are looking for a private retreat you have found it!" "A PRIVATE COUNTRY ROAD LEADS YOU TO THIS GATED 7 ACRE FARMETTE WITH MOUNTAIN VIEWS!. 2 MILS FROM I66. FULLY FENCED- 3 BOARD FENCING FOR HORSES, CHAINLINK FENCING FOR DOGS. THE CUSTOM RAMBLER FEATURES 3 BEDROOMS AND 3 FULL BATHS, WITH CUSTOM KITCHENS ON BOTH LEVELS. YOU'LL FIND SLATE FLOORING IN BOTH THE FOYER AND KITCHEN, COMPLIMENTED BY HARDWOODS, MARBLE & TILE THROUGHOUT. THE MAIN LEVEL CONSISTS OF 2 MASTER SUITES, EACH WITH THEIR OWN UPDATED BATHS, A GENEROUS GREAT ROOM, FULLY UPDATED KITCHEN FEATURING PECAN CABINETS WITH GLASS FRONTS, GRANITE & SS APPLIANCES, AND POWDER ROOM. ENJOY YOUR MOUNTAIN VIEWS FROM THE WINDOW SEAT IN THE KITCHEN. THE LOWER LEVEL CONSISTS OF A FINISHED MUDROOM WITH LOTS OF STORAGE & A SEPARATE LAUNDRY ROOM, A FULL MASTER SUITE ENCLAVE W/WALK-IN CLOSET, LEADING TO ANOTHER GREAT ROOM AND FULL CUSTOM KITCHEN. LOWER LEVEL IS IDEAL AS AN INLAW SUITE, OR AIRBNB, AS IT HAS MULTIPLE ENTRANCES AND PATIOS. LARGER PATIO TO THE WEST FEATURES A KOI POND AND PLENTY OF SPACE TO BARBEQUE WHILE ENJOYING THE PEACE AND QUIET. PROPERTY ALSO INCLUDES A SMALL 2 STALL BARN. EXTENSIVE HARDSCAPE AND LANDSCAPING THROUGHOUT. NO HOA, NO COVENANTS! THIS IS A ONE OF A KIND PROPERTY. BRING THE HORSES, DOGS, CHICKENS, AND JUST MOVE IN! WHAT'S NOT TO LOVE!" "Ashby House - circa 1800 in the quaint village of Rectortown. With its two-story addition built in 1880, the charm of the old world meets the comforts of the present day. Gracious living room now features a fireplace. Master bedroom addition completed in 2000 . Exposed log outbuilding. 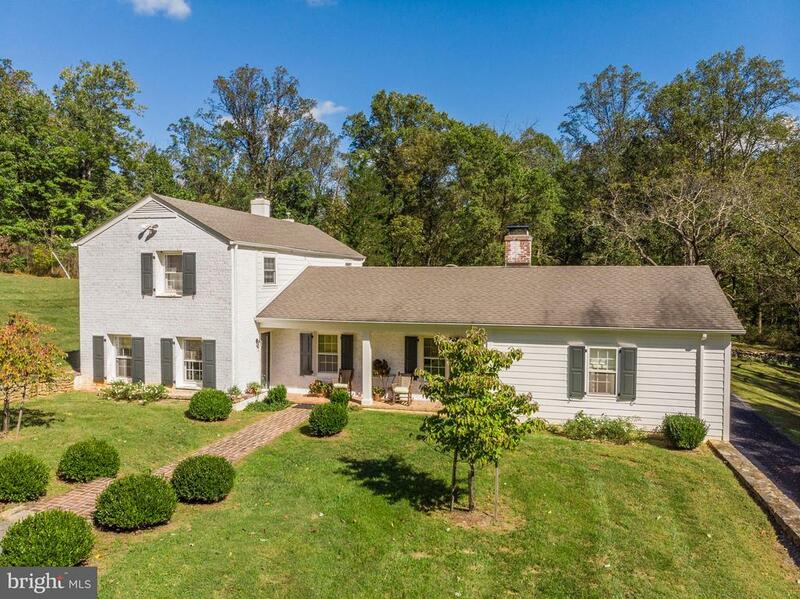 This home was very well cared for- with original wood floors, well proportioned rooms, a beautiful master bedroom with ample storage, and a large screened in porch off the kitchen overlooking the private yard with mature trees, a garden, and incredible western views of the Blue Ridge Mountains. This home has all the perks of quiet village living, with privacy and convenient access to Routes 50, 17 and 66." "Crows Cover - a virtual artist's heaven with privacy on a lovely 10 acre parcel with nature trails and an easy stroll, along forest paths lined with ferns, woodland flowers, and rock outcroppings, to the Rappahannock River - a state scenic river. 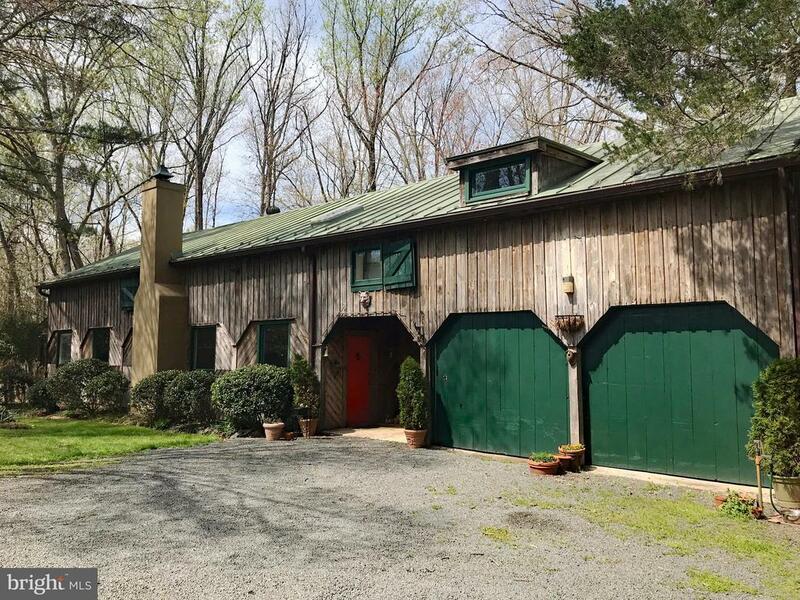 Converted rustic barn with massive beams, fireplace, 4 bedrooms, 4 baths, formal dining, large studio, in-law suite with separate entrance, large double garage, patios, deck, storage shed, wonderful landscaping." 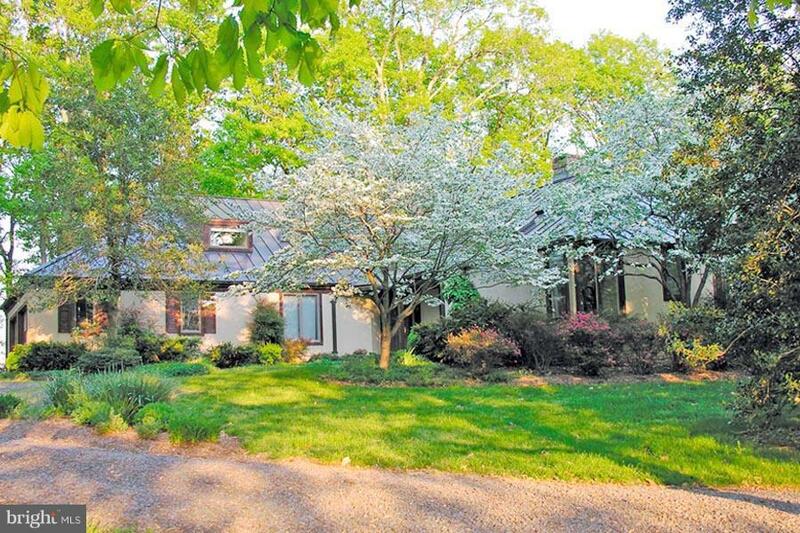 "Enjoy main level living in this contemporary home sited on 10 private acres! Spectacular mountain views from the home! Hardwood flooring through main level! Open kitchen with tons of cabinets! Double ovens; smooth surface cooktop! Solid surface countertops! Living room features wood-burning fireplace. Dining room perfect for large famiy gatherings! Master suite features private deck area, custom walk-in closet. Master bath includes dual vanities, separate tub and shower! Main level laundry with sewing station. Lower level includes two large rec room areas, full bath, 2 separate dens. Attached 2 car garage plus huge 3 car detached garage! Extensive landscaping! Generator! Adjacent 11+ acre lot available alone for $275,00, or house and 21.7 acres available for $875,000, MLS#VAFQ155762"